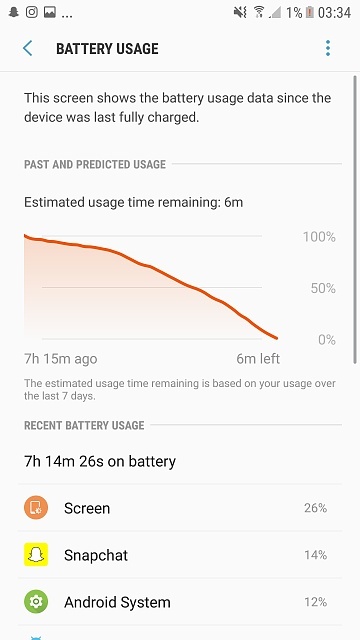 How long does the battery last before the phone actually shuts down automatically? Does the battery curve suddenly start falling steeply towards the end, or does it suddenly shut off from low battery while the level is still reading 30-40%? 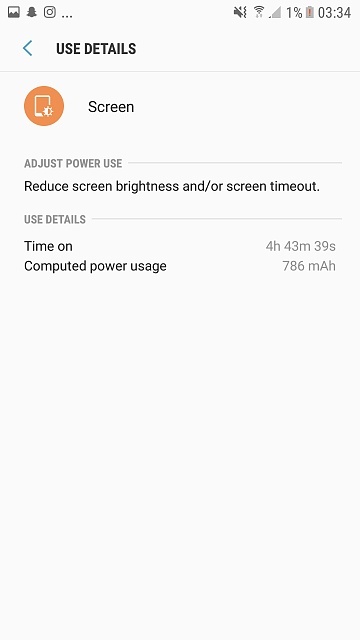 Pretty good battery life! Are you saying it's weird that you're getting this much? Were you primarily watching YouTube? If you just do one activity the whole time, the battery life tends to be better, because you're not expending more energy opening and closing apps. 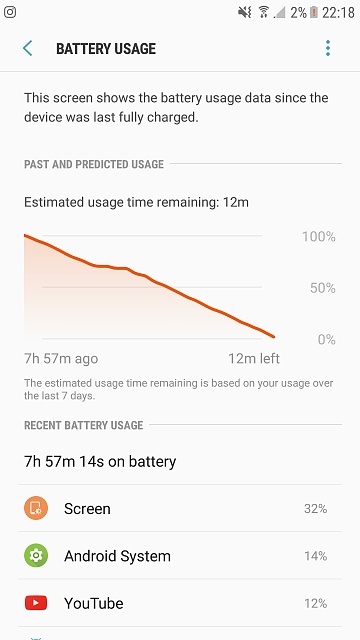 That's how the battery life tests that reviewers use yield such good numbers -- they're just turning on a video nonstop and leaving the phone alone until it runs out of battery, which is not exactly real-world usage. Depends on what you were doing in that one hour. 19% in one hour is pretty normal if you were playing a game like War Robots on a 4G connection. Sorry, all I can say is that the battery life in those screenshots is pretty darned good. T-Mobile Galaxy S8 Galaxy S8 won´t turn on, charge, nothing!